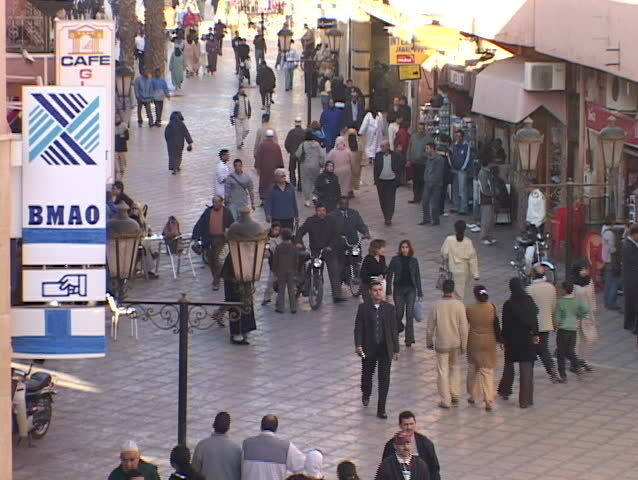 CASABLANCA, MOROCCO - CIRCA 2001: Pedestrians in modern and traditional dress walk along a busy city sidewalk circa 2001 in Casablanca. hd00:27CAIRO, EGYPT - NOVEMBER 16, 2012: A busy Egyptian street. 1080p HD with natural sound. 4k00:10Naples, Italy, 4 April 2018. Via dei Tribunali - is a street in the old historic center of Naples, Italy. It was the main decumanus or Decumanus Maggiore — that is, the main east-west street. 4k00:14NIS, SERBIA, APRIL 05 2017: Group of young people, mostly students, in a protest march against the dictatorship and malversations of newly elected president Aleksandar Vucic. Shot in Nis, Serbia.